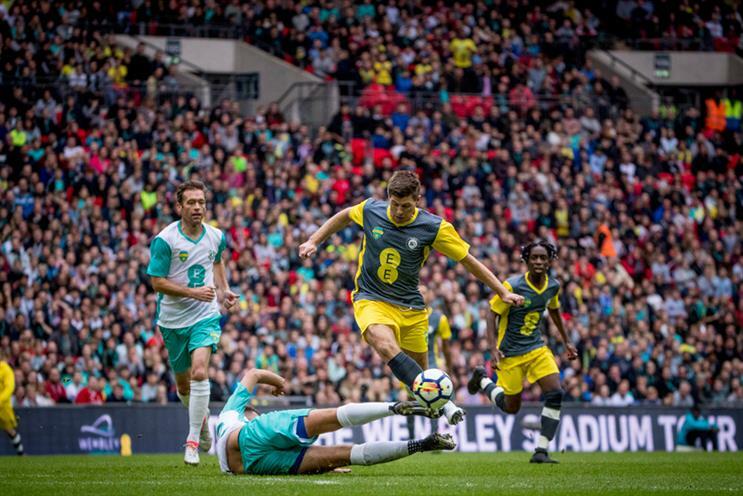 EE is bringing back its Wembley Cup invitational football tournament with a new format that will see former international footballers competing alongside YouTube stars. The event, culminating in a live final at Wembley Stadium on 25 November, is returning for a fourth year, featuring ex-professional players including Robert Pires, David Trezeguet, Cafu and Michael Essien. They will line up in four teams comprising social media influencers, including Spencer Owen (Hashtag United), F2Freestylers (F2 FC), Calfreezy (Rebel FC) and WillNE and Stephen Tries (XO). This year’s Wembley Cup will include a new American football-inspired "draft stage", "fast and furious" 30-minute matches, "man down time" and "sin bins", following research by EE into fans’ most- and least-liked football innovations. EE is also creating an online series to accompany the tournament. The first episode is now live on YouTube on Spencer FC’s channel. The campaign was created by Poke. Pete Jeavons, director of brand marketing at EE, said: "The EE Wembley Cup is ripping up the rule book for 2018 with some innovative twists and a brand new tournament format. "Allowing teams to bolster their squads with World Cup winners and global legends is really going to raise the stakes for 2018. With the addition of these world-class players to the stellar line-up of football YouTubers, this year’s EE Wembley Cup is going to be one to remember."